which I really like the look of and may one day sew, but it is a little too formal for my current stay at home mum lifestyle, and all the fabrics I had in the stash that I thought would be good for this jacket (linen) just wouldn't withstand all the baby slobber on my shoulder that Toby so lovingly deposits all the time! I decided to play up the folksy feel of the woodland print by wearing this with a corduroy skirt I made a long time ago and a cream skivvy - does this have a 70s vibe to it or what? The pattern is super simple, with very little shaping because I guess a lurex jersey would drape and cling better, but this is a rather thin quilted fabric so it's not too bad. I did leave off the elastic waistband and cuffs for the simple reason that I didn't want it to puff up any more because the Michelin man is not the look I'm going for. My verdict: a casual but smart jacket style that is so quick and easy to sew. 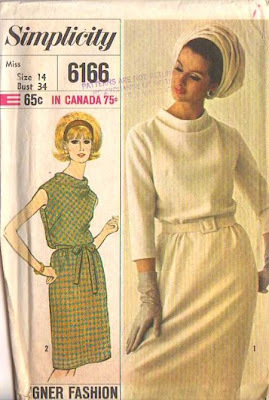 If I make this again I would probably take it in a little at the sides and narrow the sleeves to make it a bit more shapely. 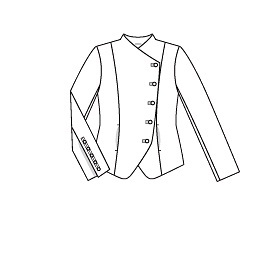 I am thinking about making it in a black and white gingham, with black ribbed cuffs, colour and waistband because a friend of mine has a Gstar jacket just like this that looks awesome. Although now I think about it, is it a little too Single White Female to copy your friend's clothes so slavishly? then I could cut it in half and make two separates anyway, so it's a win win. But since this isn't a breastfeeding friendly dress nor a Burda dress, I'll add it to my to do list so don't expect to see it anytime soon! Unblocked. A rather indelicate phrase isn't it? In my mind it conjures up images of old people talking coyly and abstractly about laxatives in tv advertisements, or the absolute vileness that is the gunk that blocks up the s-bend under your kitchen sink. 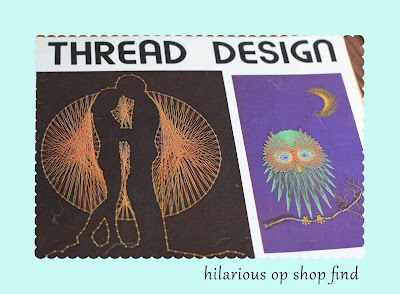 But it also describes the unblocking, finally, of my sewing mojo which has been in short supply of late. Ordinarily I do a bit of sewing each day - sometimes a little bit or sometimes a lot, but the continuity and incremental work is I think the best way to keep on top of my projects. But the past two weeks or so I've barely stepped into my sewing room. I've been so exhausted it's hard to just get off the lounge. Not just sleepy, but absolutely bone tired exhausted with aching muscles and joints. It didn't help that I recently won a Kindle (yay me!) and I've been rediscovering the classics like Jane Austen and the Bronte sisters. I followed that up with a nice day snuggled on the lounge watching the Colin Firth version of Pride and Prejudice. But after a discussion with a friend followed up with a consultation with Dr Google, I've discovered that muscle and joint pain is quite common in breastfeeding new mums. Something to do with the hormones in the body that relax the joints in preparation for childbirth remaining while breastfeeding. So I've started taking glucosamine supplements, had a massage and a long hot bath and already I feel like a new person. I've even cleaned up my sewing room in anticipation of the prolific output that I'm about to produce! Another delightful thing to happen recently was the parcel I received in the mail from the lovely Steph, a reader in New Zealand. She had bought the wrong sized pattern and offered to send it to me, but when it arrived it came with another pattern and two cute boy themed prints which was a wonderful surprise. 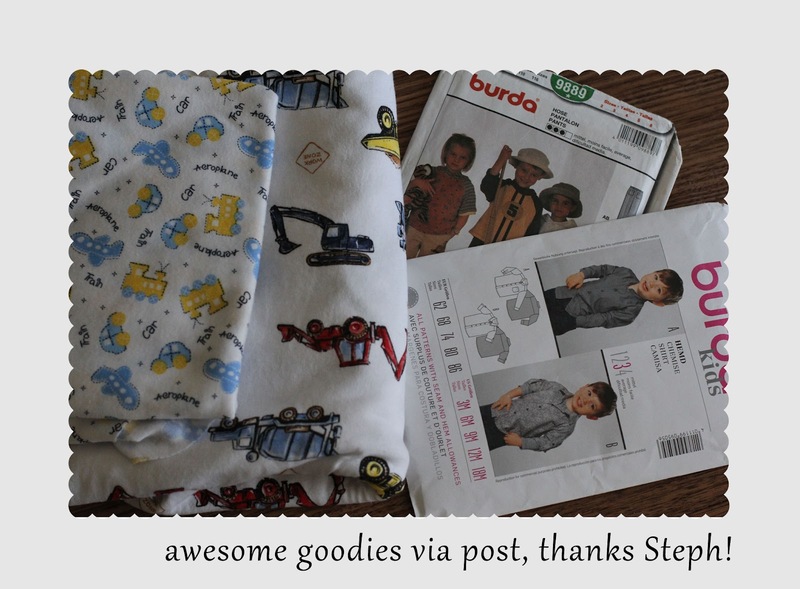 Thanks again Steph! 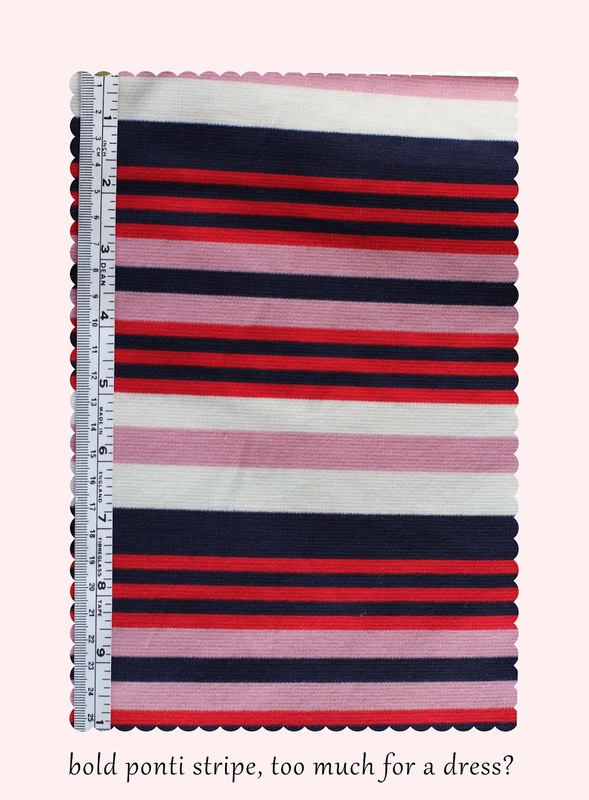 I also stepped out of my comfort zone and bought this bold striped ponti fabric from Spotlight during their recent 30% off everything sale. I bought enough fabric to make a dress, but when I got it home and draped it around myself I'm not so sure I'll be confident enough to wear such a bright dress. Maybe I'll take the easier option and make a skirt instead. What do you all think: too much? Gotta love the 1970s and that classic "lovers" picture! And the best thing to happen this week is that Toby has finally figured out how to roll back from his stomach to his back. He is quick to roll over from his back to his front, but after about 5 minutes he starts to whinge loudly and needs rolling back like a stuck turtle - I guess holding up that big head of his takes a fair bit of effort! (Mean but true, just check out the photo below). But now he can sort himself out, just like a neglected second child needs to learn. Just kidding. 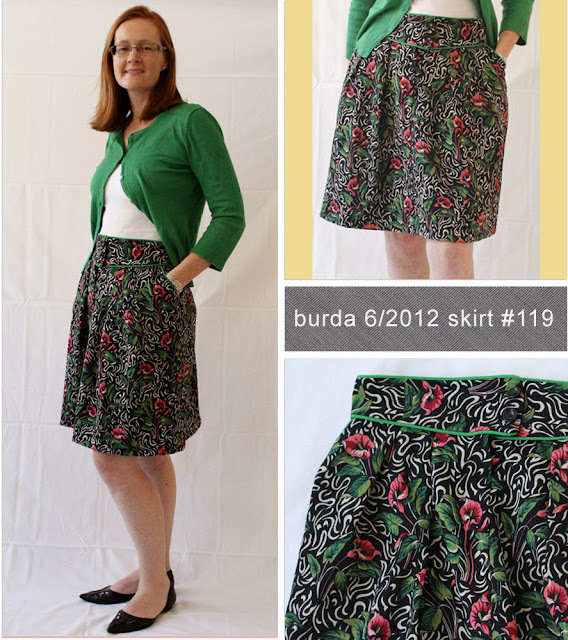 Finally I made myself photograph the latest in my Burda challenge: the May project. The finished skirt has been sitting on a hanger in my room waiting for a day when I actually brushed my hair and put on some makeup to coincide with a day that Anna is at daycare (she tends to knock over the tripod and generally get in the way of photo taking) so that I could get a pic of me not looking too zombie like. Can I just say how proud I am of myself at this point in time in keeping up with this challenge? 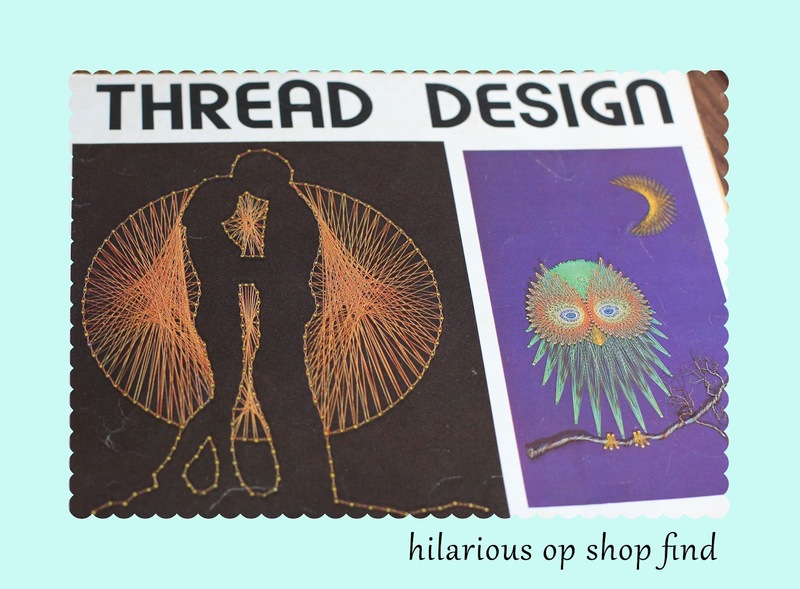 I usually cave and give in by now, but here I am having finished five garments so far, two more very close to being finished and August's issue just landed in my mailbox today with quite a few lovely patterns in it so this shan't be the month I give up. Plus so far all the garments have been from the stash. Yay for me! For the May project I chose skirt #119, which has a wide shaped yoke, with a fly front, several pleats across the front and side pockets. The fabric I used is a long time stash resident, bought from a garage sale I think, and it was a smallish piece of printed cotton that I just managed to eek this pattern out of. This was one of those fabrics that I wasn't sure if I liked or not, having quite a busy print with flowers that look like lips (according to my husband!). But I like how it turned out in this skirt. I decided to pipe the edges of the yoke and the pockets because I thought the busy print might hide the seam lines, and I think the kelly green colour I chose for the piping was oddly the right choice. I also put two buttons on waistband centre front instead of extending the zipper all the way up as per the pattern for the pure reason that I didn't have a black zipper in the stash long enough but it's hardly noticeable and saved me sewing on some hook and eyes anyway. Admittedly I did wear this out this week wearing black tights and a black turtleneck jumper because it's been so cold around here, but for this photo I cranked up the heater and pretended it was spring instead. Besides a cardie and a nursing singlet top is far more practical for me to wear at the moment. My verdict on this skirt: it's very good! 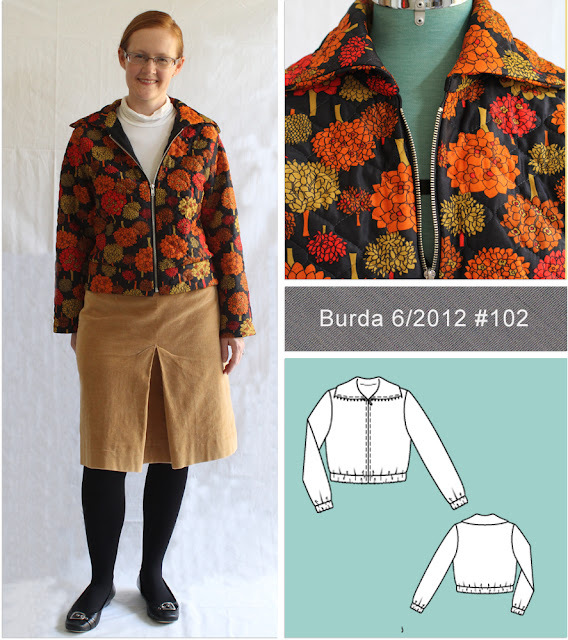 Simple to sew, comfortable to wear, practical with it's pockets, and flattering with it's roominess. I may even make this again in a solid coloured cotton for summer, it's a nice alternative to a plain a-line skirt.